Share the post "How To: Change Fonts On The 5800"
There are times when a person gets tired of the way his/her phone’s UI looks, on most occasions the simple task of changing the theme acts as a refreshment, but those of you who seek more – read on. Changing fonts on the 5800 is a simple matter of copying a folder across and restarting the phone, the process takes under 2 minutes and should you want to go back to the original fonts, that takes even lesser time. Below are a few demos of different fonts on the 5800, there is a download link at the bottom of each set should you decide to try the font on your own device. Click on the screenshots to enlarge. Delete the folder labeled ‘Fonts’. Alternatively you can choose to rename it to ‘Fonts2’ or anything that you like. In case something goes wrong e.g. the characters are not displayed and so on, simply turn off the device, remove the microSD and start the phone. (You can delete the Fonts folder subsequently) Since we are using the removable microSD to experiment this process cannot damage your phone. Also, while choosing a font do keep in mind the fact that it will affect the font of the Web Browser also, so please keep something readable. E.g. The second font in the above list, looks ‘cool’ but will make web browsing a pain. 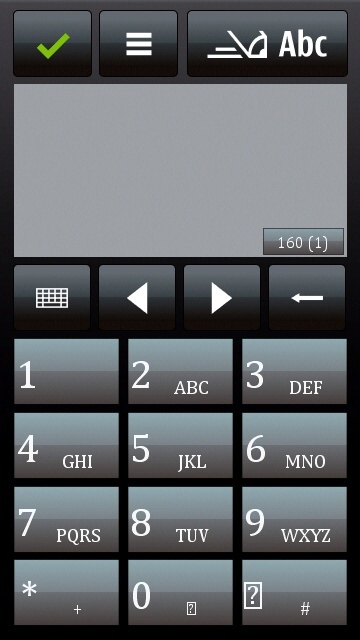 Record voice memo or phone calls anytime by simply pressing hotkeys. Phone calls can be recorded automatically. You can choose to have BEEP or NO BEEP for call recordings. if diss useful to u guys m glad…. at first time trial, it works to me. you first UNZIP the downloaded files tru WINRAR then just copy paste the folder FONTS to RESOURCES and youll be fine!!! 🙂 thanks so much admin. i want to install other languages in my phone 5800 …. Can anyone tell me what to do?? It doesn’t work, I’ve tried renaming and it still doesn’t work. Tired of trying HELP PLEASE!! can you give me details from where i can take those different fonts….? It works on my nokia 5233. Thanks! 5233 does nt hve a resource folder..!!!! where do i paste the font folder????? ITS WORK ONLY FOR OLDER VERSION…IM USING NOKIA 5800XM THE LATEST VERSION (V52 – 17.10.2010) AND DOESN’T WORK…IS THAT TRUE? is there any other fonts available? Like monotype corsiva or english black? can any 1 plz help me with this..???? Thank you, this awesome. Works perfectly! This works brilliantly as long as you remember to extract the fonts folder from the zipped folder first. Many thanks Vaibhav! Unable to open. File not supported. first i remove my memory card from my phone. then go to folder options of my computer and apply show all hidden ,system, folders and file. then i access my card and find resource’ folder and open it. then i creat font folder there and copy all 4 font files (only one copy) there. then i remove my card . insert my card to my phone5800xm and switch it on . 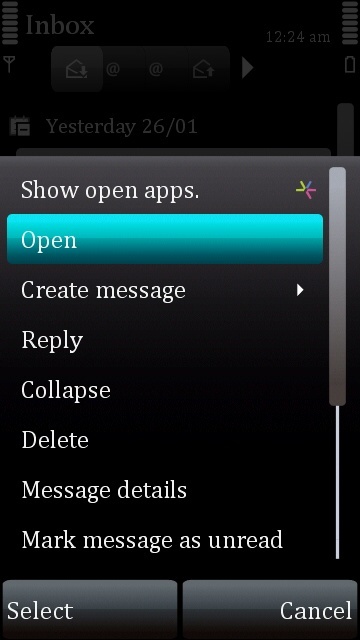 and my phone start,s with new style of font..
thankyou friend for ur this upload….